I can’t believe how fast the temperatures dropped. About two weeks ago I was wearing this outfit, and I wasn’t freezing at all. 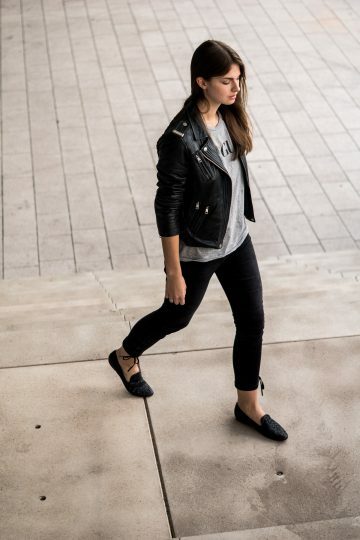 But when I would wear this outfit right now, I would probably be cold when wearing only a t-shirt underneath the jacket. I hope temperature will rise one last time before autumn is over. I still have so many looks I would like to shoot, but at the moment it’s too cold to wear them. Luckily I still have a couple of outfits left to share with you this week. I already shared two autumn outfits at the beginning of the week, and two more are to come. 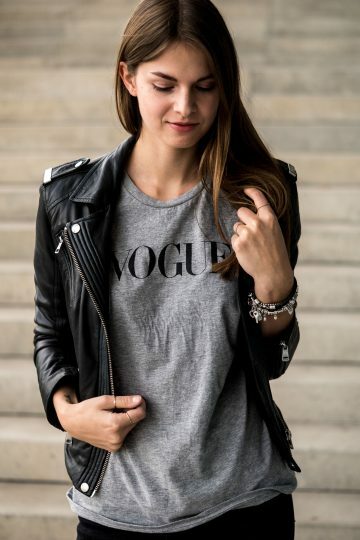 I’m sharing the first one today, and it’s all about my VOGUE t-shirt I got when the VOGUE Fashion’s Night Out took place in Berlin. very simple outfit, but this time, I chose other special items to create an even more interesting outfit. 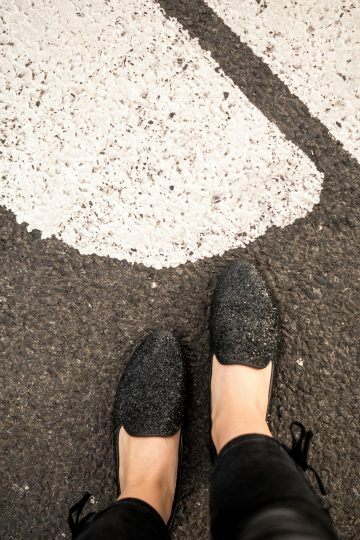 The black pants are not only black pants, but they also have a lacing detail on the side of the legs, and the shoes are not only the shoes but they’re also glittered shoes. Each piece could be a key piece itself, but I combined them all together.